Driving for long periods of time can make anyone tired---but when you are the driver of an 80,000 pound fully loaded big rig, being tired can have disastrous consequences. When truck drivers push the limits and drive longer than the recommended amount of time (11 hours), catastrophic accidents can occur. These large trucking accidents can cause serious and life threatening injuries, paralysis and even death. According to the Bureau of Labor Statistics, long haul truck drivers must work within the rules made by the United States Department of Transportation. Truck drivers must fill out logs, rest between shifts and follow the mandated maximum driving times. When drivers fail to follow these rules, they put themselves and everyone around them in extreme danger. When a truck driver becomes fatigued, he is less able to respond to sudden changes on the road. He may inadvertently change lanes, fail to see a car in the next lane, or fail to notice a change in the traffic patterns. According to research, being awake for more than 18 hours has the same effect as being “legally drunk”. Safety and sleep experts continue to recommend that truck drivers get no less than 7 hours of sleep a night, yet a study conducted by the NHTSA found that the average truck driver slept for only 5 hours! Drivers who are routinely sleep deprived have difficulty concentrating, focusing and staying alert. The Federal Motor Carrier Safety Administration found that episodes of truck driver fatigue occurred most commonly between the hours of midnight and 6 a.m. Even though the U.S. Department of Transportation strictly prohibits long distance truck drivers from driving over 11 hours a day, many truck drivers continually break these rules in an attempt to make more money. In addition, many trucking companies routinely urge their drivers to drive longer hours than necessary in order to increase company profits. As a result, many truck drivers are out on Colorado’s roadways…tired and dangerous. If you or someone you love was injured in a large trucking accident, it is important to contact a Colorado trucking accident attorney immediately. 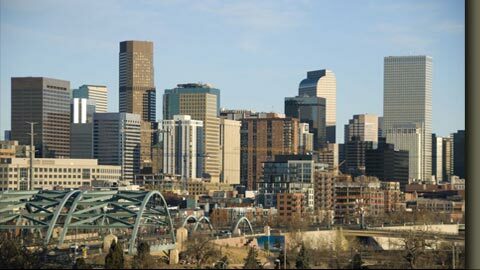 Your Colorado trucking accident attorney will need to aggressively investigate your case and negotiate with insurance companies on your behalf. If your attorney suspects that truck driver fatigue was a reason for your accident, you may be entitled to recover money for damages and any injuries you sustained. 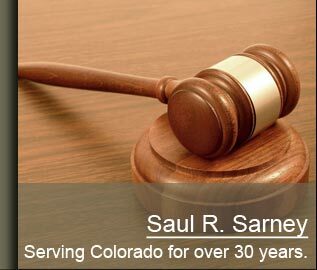 The Law Firm of Saul R. Sarney, P.C., in Denver, Colorado, represents semi truck accident clients facing personal injury and wrongful death lawsuits, and denial of insurance coverage claims throughout the greater Denver metropolitan area and areas north, including the cities of Lakewood, Aurora, Englewood, Littleton, Arvada, Greeley, Morrison, Boulder, and Broomfield, as well as Douglas County, Denver County, Jefferson County, and Arapaho County. We also represent clients in other states including Kansas, Nebraska and New Mexico.